To participate as a SSASS student you must first join the organization as a member. This is free of charge. The purpose of the membership is to gather information about your so we can make the most of your time as a SSASS student. Although joining SSASS as a student is as easy as 1 – 2 – 3, it does take some time, so please start the process as early as you can. Please refer to the Programs pages and select which program is best suited to your needs. As a SSASS student you have an online account with us. You can use this to complete your application, upload forms and waivers, and check out your lesson schedule. Click here to apply on line as a new student. Complete as much of the application and click SUBMIT. Our student coordinator will be in touch in a day or two. If you are a returning student, you can click here log into your account. Take a moment to update your personal information and select the dates and times of your planned visit. Our lesson coordinators will be in touch in a day or two. If online registration is not an option for you, please print this application for and mail it back to us. When we receive it our lesson coordinators will be in touch in a day or two. Student Application Form for every student. Schools Program ONLY please attach this page. You can always just send us an email and we will be happy to help you through the process. Alternatively, you can contact any of the program coordinators directly for more information or for assistance with registration. You can also try calling the SSASS room at the mountain. If no one answers, leave a message and we will be in touch. During the ski season, we are located in the lower level of the NATC building at SilverStar Mountain Resort. Most days someone will be in the SSASS room at 9:00 and again at noon. 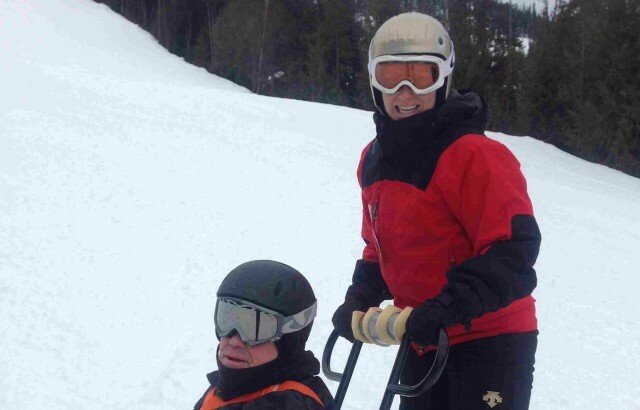 You will need to purchase an annual membership from BC Adaptive Snow Sports. It was $53 in 2017. This provides some liability insurance and supports the development of adaptive snow sports both provincially and nationally. More importantly, SilverStar Mountain Resort generously grants you a 50% discount on lift passes for SSASS lesson participants when you present your BCAS membership. Once you have your BCAS number, please update your Portal Profile. SSASS requires that you complete a medical waiver. Skiing and boarding are outdoor winter activities that involve physical exertion. It is extremely likely you will take a tumble or two. We strongly urge you to consult with your physician before taking part. We ask that your physician complete the form and that you return it to us with his signature. If you choose not to consult with your physician, you may sign the waiver yourself. Please upload the signed waiver to your Members Profile in the Portal. Alternatively you can bring it with you to your first lesson. We cannot teach you without the waiver on file.